Washington, September 14, 2009 - Hospital rooms can harbor germs that can cause serious infections, especially for elderly patients, those with weakened immune systems and those who have undergone surgery or who have catheters or tubes inserted in the body. National Environmental Services and Housekeeping Week (September 13-19, 2009) is an opportunity to remind patients what an important role they can play in reducing the risk of infection transmission by keeping their hospital room as clean as possible. The Association for Professionals in Infection Control and Epidemiology (APIC) and the American Society for Healthcare Environmental Services (ASHES) offer this advice to ensure a clean, healthy environment while patients are in a healthcare facility. Learn more at www.preventinfection.org and www.ashes.org. Germs reside on many surfaces in the hospital - including bed rails, stethoscopes, faucets and even the TV remote control. You and your healthcare workers can pick up these germs on hands. So it is important to keep hands away from your tubes, wounds and face, and wash or sanitize your hands frequently. Cover your cough or sneeze with a tissue or your sleeve. Watch the staff to make sure they wash or sanitize their hands with waterless sanitizer before providing care - and remind them if they forget. Ask for waterless hand sanitizer near your bedside. Survey your room - does it look clean? Just like home, your hospital room should look and smell clean. Rooms should be cleaned daily. The areas of the patient room most at risk for harboring and spreading infection are those frequently touched by you and by healthcare workers. These are called "high-touch surfaces" and include bed rails, bedside tables, IV poles, call bells, door handles, bathroom surfaces and computer keyboards. Environmental Services (ES) staff should put on a new pair of gloves when they enter your room, and focus on comprehensive cleaning of the hightouch surfaces. Observe the cleaning process to ensure the high-touch areas are being cleaned. Don't be shy - if you believe they have missed something, say something! ES technicians might leave a card to let you know if they cleaned while you were away. If you have questions, call or ask nursing to call. Alerting the environmental staff of a concern will help to ensure a clean, healthy environment. Limit personal items and reduce clutter to ease the critical job of cleaning hospital rooms. Keep personal items off the floor and away from waste containers. Ask for a trash basket near your bed and have visitors dispose of their trash promptly - including pizza boxes and take-out food containers. Your over-the-bed table should be cleaned/disinfected at least once a day. This should be done by your Environmental Services staff, but can be repeated just before you eat by the person delivering your meal tray. Notify a staff member if your pillow falls on the floor or becomes soiled. To keep your environment as clean as possible, visitors should not sit on your bed or handle your equipment. Ask visitors to sanitize their hands when entering and leaving your room to avoid bringing in and carrying out germs. Guests should not visit if they are sick or have had any symptoms within the last three days including nausea, vomiting, diarrhea, fever (or feeling feverish), uncontrolled cough or rash. To prevent germs on the floor from contaminating your bed, remove your slippers, socks or footies before putting your feet on or in your bed. Patient bathrooms are just for patients. Visitors should use common bathrooms in the lobby or hallways. Patients often see many healthcare workers, but they don't usually see those who work behind the scenes to ensure the prevention of healthcare-associated infections. All hospitals have an Infection Preventionist - a qualified nurse or other professional who manages the hospital's infection prevention program, as well as a team of Environmental Services technicians. To learn more about infection prevention, ask to see the Infection Preventionist and visit www.preventinfection.org . 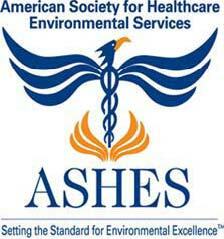 To learn more about healthcare environmental services, ask to meet the director or manager and visit www.ashes.org .